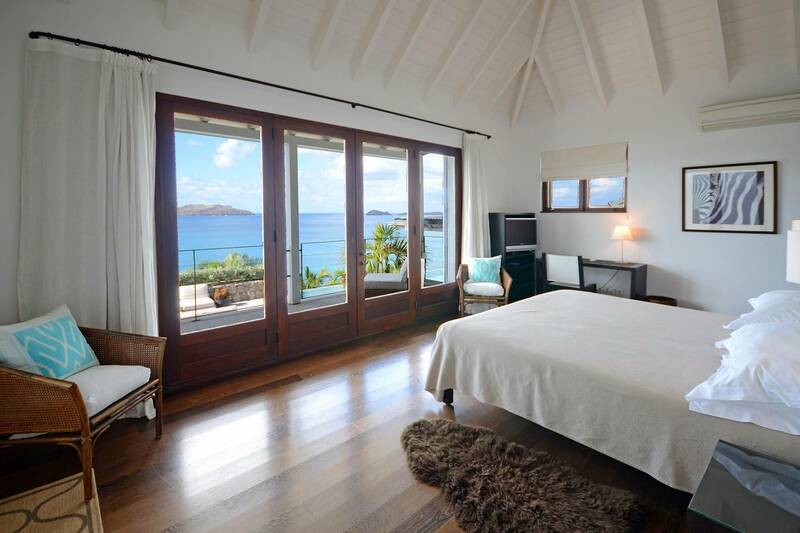 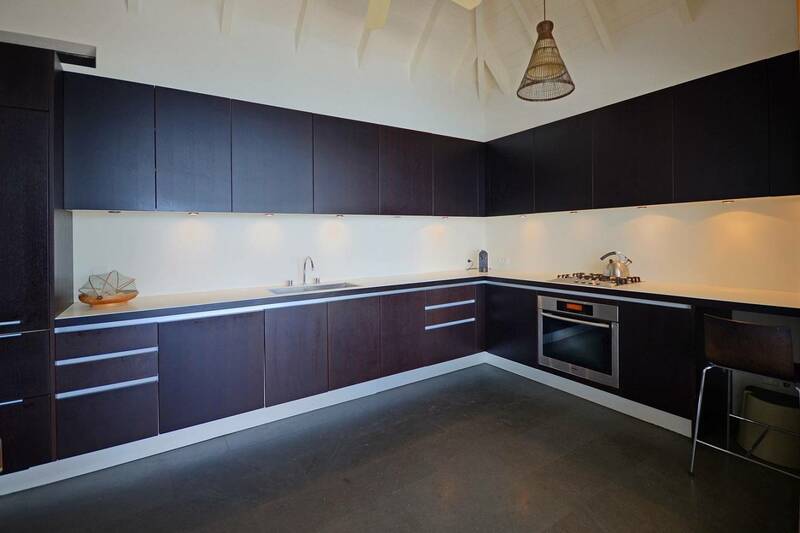 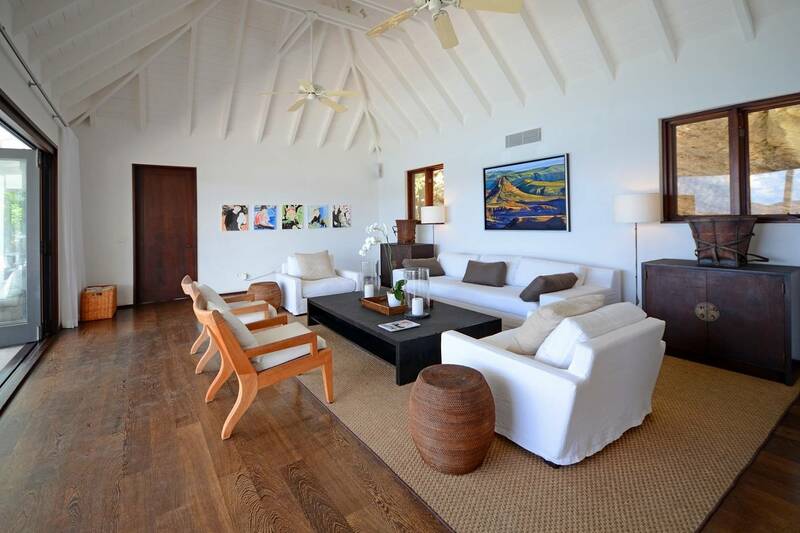 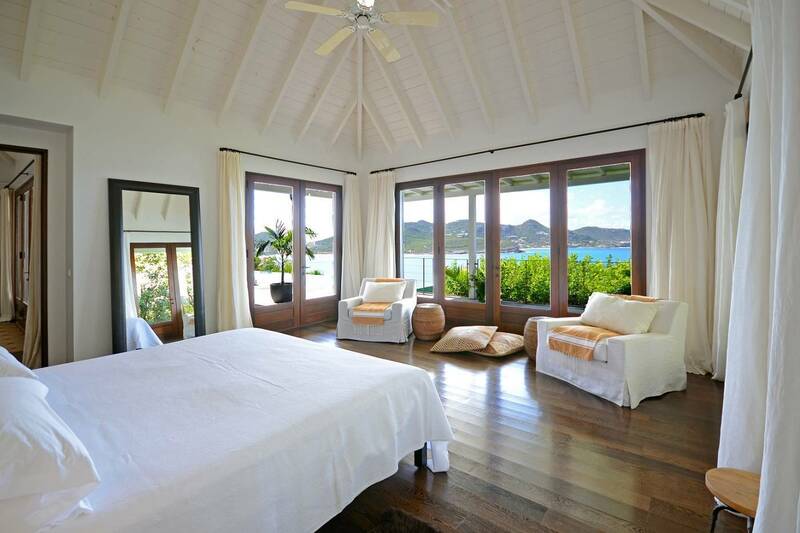 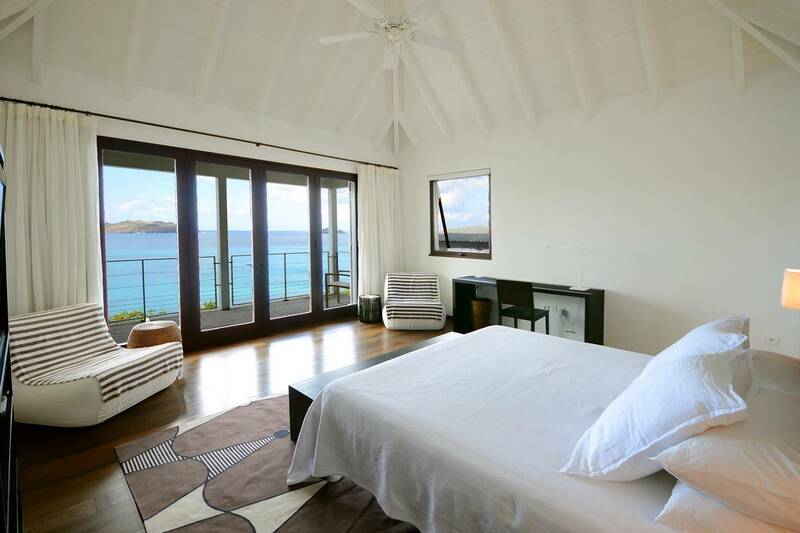 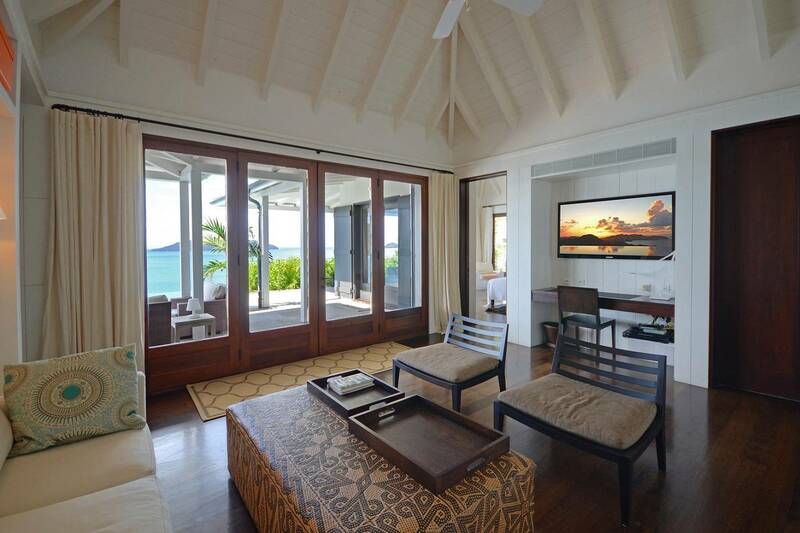 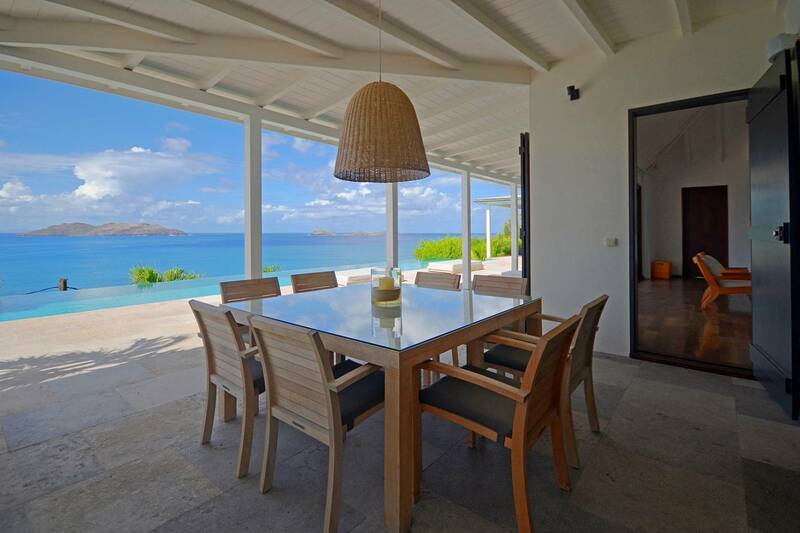 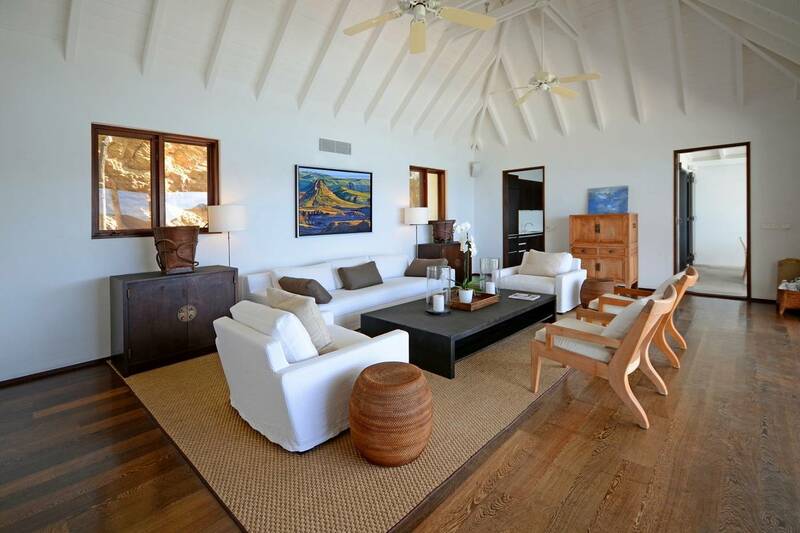 Dream About: Vacationing in a St. Barth villa close to all that St. Jean offers - bistros, boutiques and the beach. 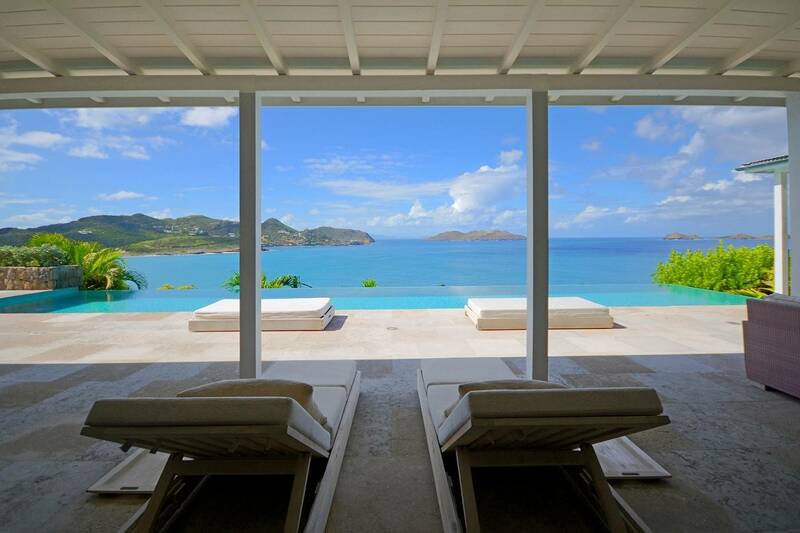 And views! 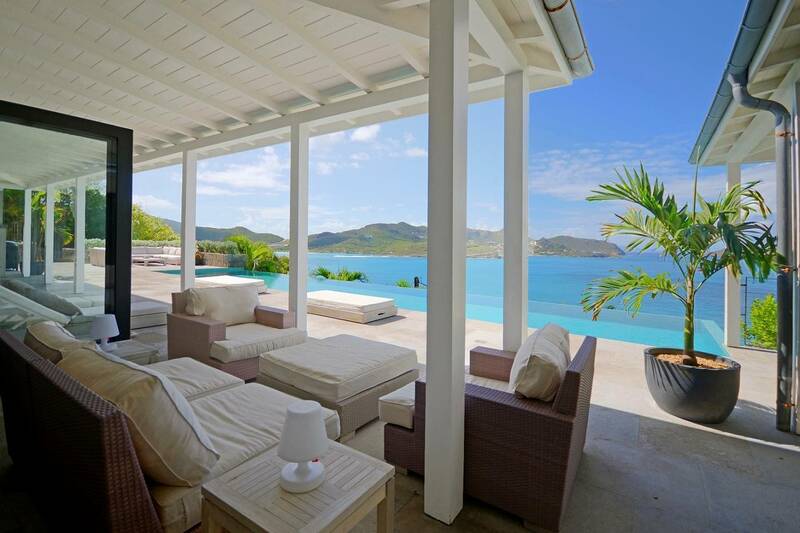 A chic, contemporary four bedroom vacation home, Villa Vision is just minutes from the exciting little village of St. Jean. 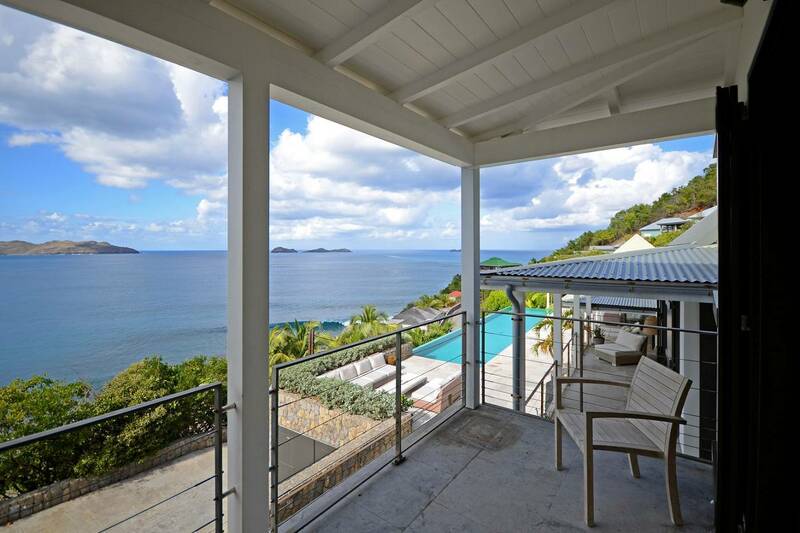 Situated close to the road, it’s handy to all the shops, restaurants and one of the islands most popular beaches. 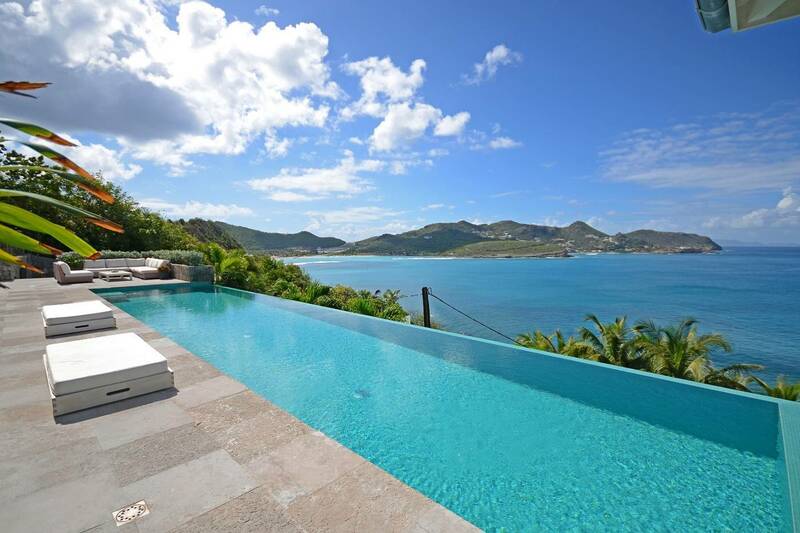 The views are stunning! 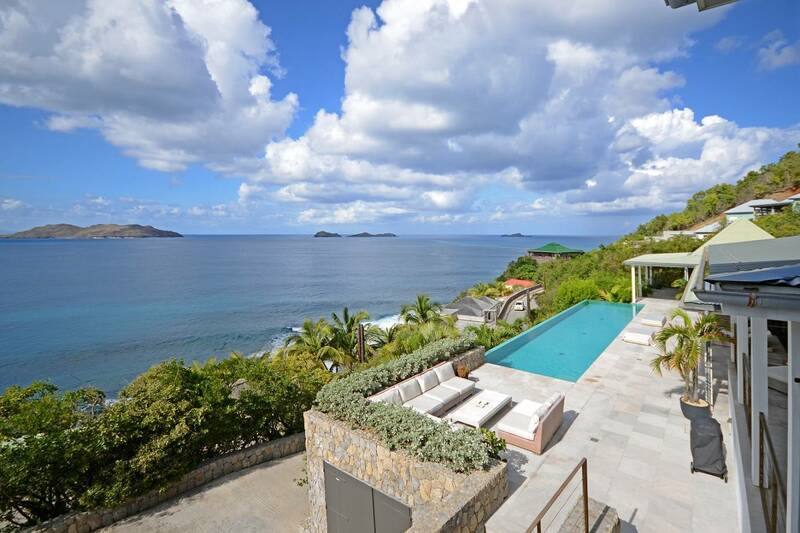 Guests who enjoy a good workout often jog down and back up to the villa along the sidewalk that hugs the coastline across the way. 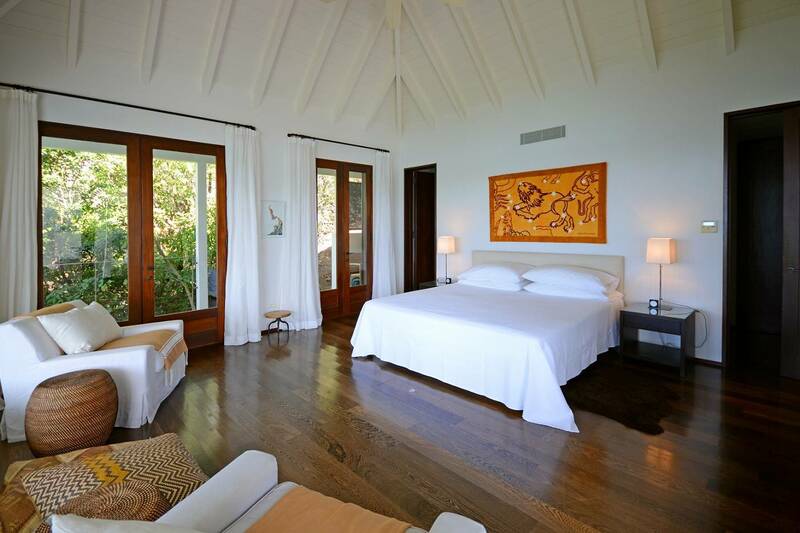 The main house includes a sleek kitchen, a living room, and an air-conditioned library that works well as a TV room and, with its Murphy bed, provides extra sleeping quarters as a 4th bedroom, suitable for a child as it connects to the master bedroom. 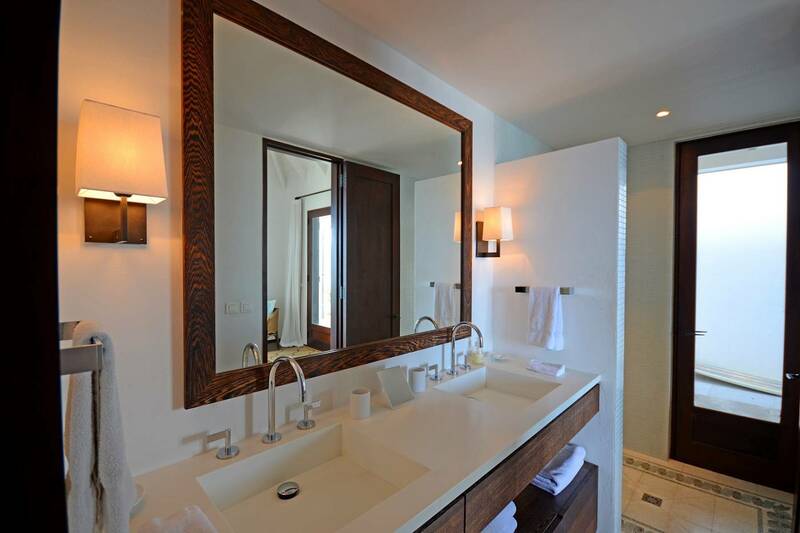 It’s just adjacent to the 4th bathroom that doubles as a second bath to the king-bedded master suite. 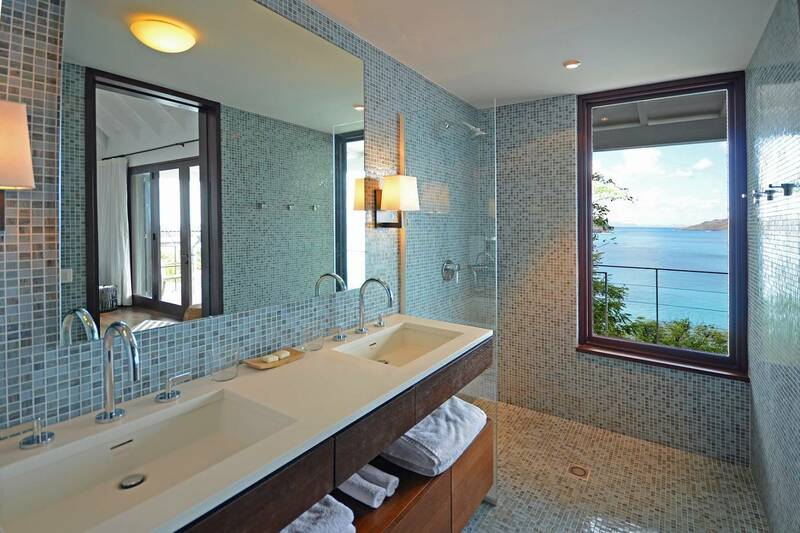 One features an indoor shower and the other has an outdoor shower. 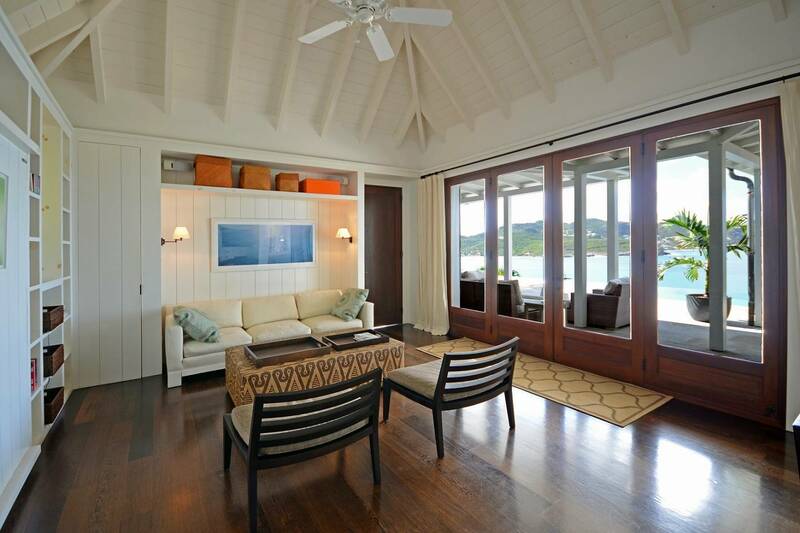 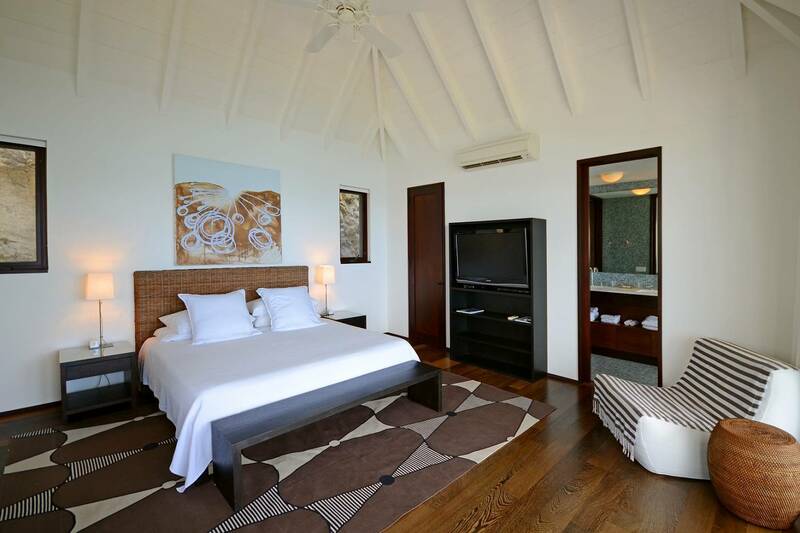 Each of the additional two bedrooms is housed in a separate pavilion looking out to the sea. 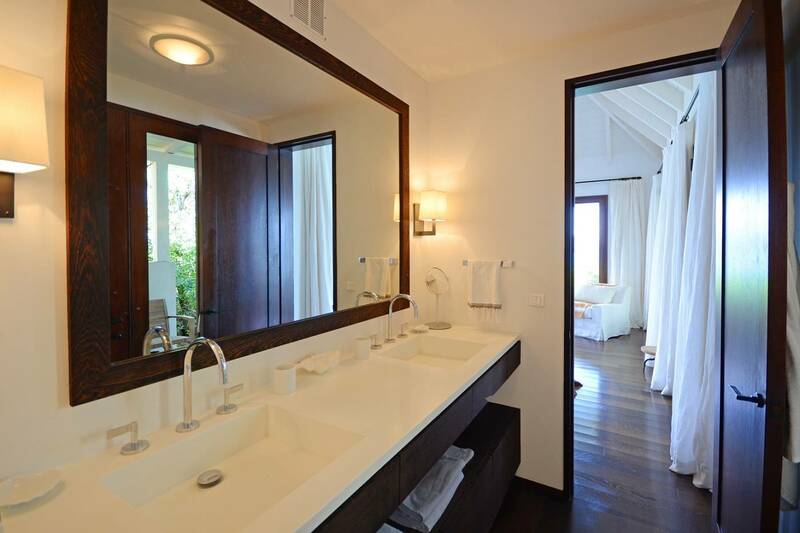 They have king beds, en suite baths, and walk-in closets. 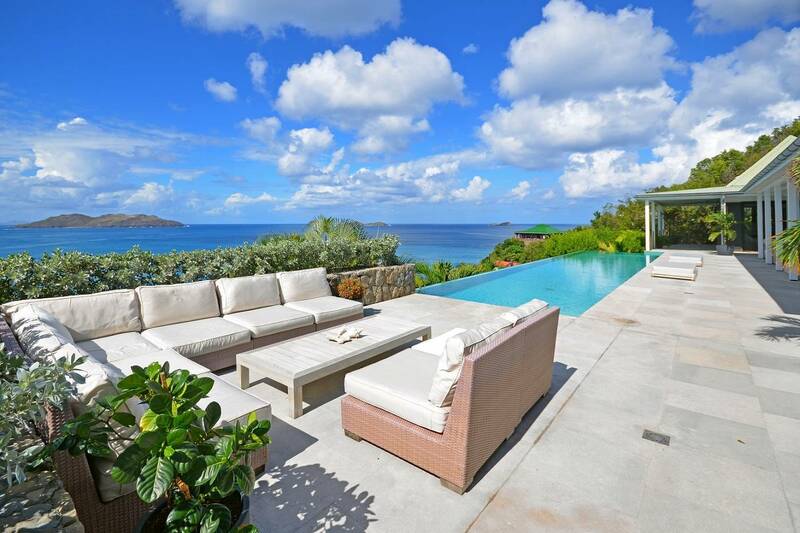 An extra-long infinity pool is the focal point of the ample outdoor living space that includes covered dining and sitting areas. 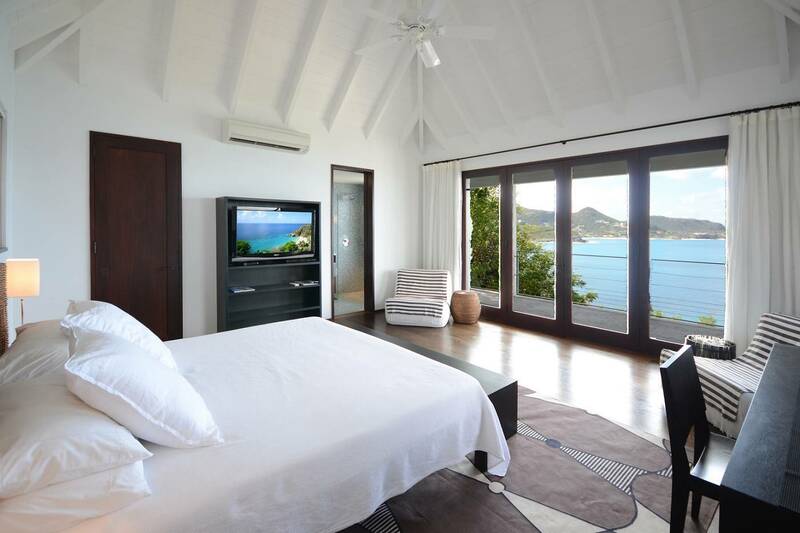 Villa Vision is beautifully furnished and guests enjoy the sound system as they relax and take in the views. 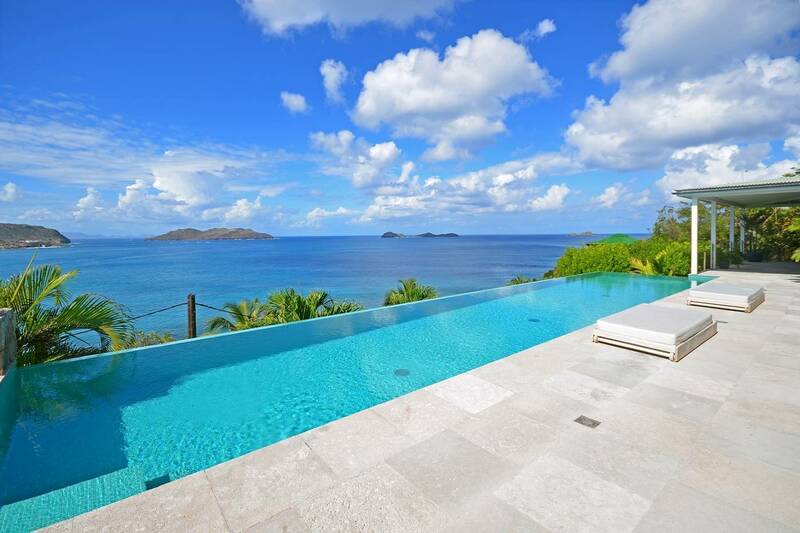 The extra-long infinity pool that looks out to the sea. 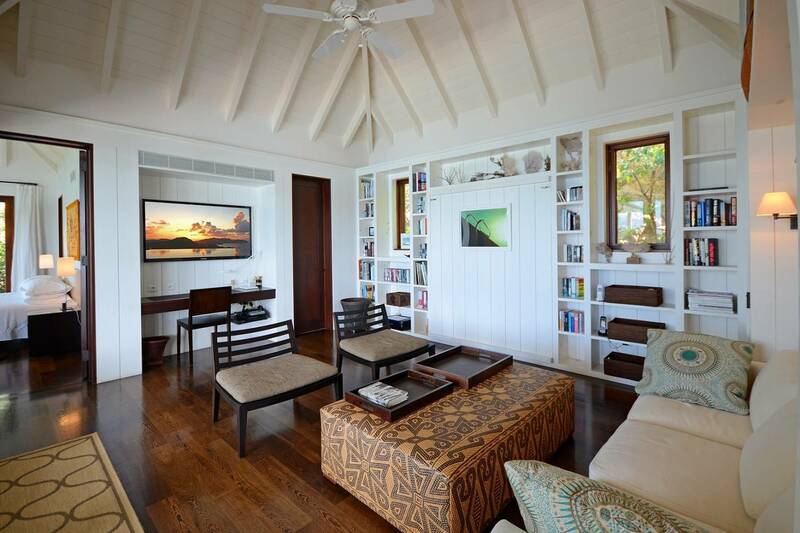 Chic and contemporary, a living room and a library with TV provides extra living or sleeping space.